The NASL unveiled its 2017 Best XI on Thursday morning. Of the 11 players, 10 of them played for sides that reached The Championship, the league’s four-team postseason tournament. Miami FC, which won both the Spring and Fall Season titles, has six of its players included in this year’s Best XI. GK: Daniel Vega (Miami FC) – He was the only goalkeeper to start all 32 games this year, posting a goals against average of 0.88. He kept 15 clean sheets, which was one shy of tying a league record, and made 81 saves. He also earned the most goalkeeper victories in a season with 21. The former River Plate goalkeeper appeared on the Team of the Week three times and was also the recipient of the league’s Golden Glove award. DEF: Reiner Ferreira (San Francisco Deltas) – He led San Francisco’s back line all year long, featuring in 31 games (all starts) to amass 2,708 minutes of play. He finished as the league leader in interceptions with 86 and was fourth in clearances with 127. He also won 142 duels. Ferreira contributed two goals at the other end as well. He made four appearances on the Team of the Week this year. DEF: Mason Trafford (Miami FC) – The defender led the NASL in passing accuracy (for players with at least 10 appearances), connecting on 92.41 percent of his attempts. He made 98 clearances, while winning 57 duels and making five blocks. He appeared on the Team of the Week on three occasions. DEF: Mechack Jérôme (Jacksonville Armada FC) – He finished the year tied for first in the league in clearances with 171. He also racked up 52 clearances and eight blocks. Jérôme started all 32 games and played 2,810 minutes. The Haitian defender was a Team of the Week selection four times. DEF: Connor Tobin (North Carolina FC) – The NASL veteran was tied with Jérôme for the league lead in clearances with 171. In 31 games and 2,756 minutes of play, Tobin tallied 40 interceptions and 11 blocks. He appeared on the Team of the Week five times over the course of the year. MID: Emmanuel Ledesma (New York Cosmos) – In his first NASL season, the midfielder starred for the Cosmos. He scored 10 goals to go along with six assists, and led the league in chances created with 73. More staggeringly, Ledesma’s work came in 19 of his club’s 32 games. In 17 starts, he played 1,393 minutes. The Argentine was the Player of the Month in October, and also received Player of the Week honors once and Team of the Week honors six times. MID: Nazmi Albadawi (North Carolina FC) – He scored four goals and added four assists during the 2017 campaign. He also finished second in chances created with 56. Albadawi started 31 of his club’s 32 games, playing all but 65 minutes. He was named to the Team of the Week four times this year. Albadawi has made the NASL Best XI in two straight seasons. MID: Richie Ryan (Miami FC) – The midfielder’s passing accuracy finished at an impressive mark of 90.7 percent. In addition to recording three assists during the campaign, he won 117 duels. The Irishman started in all 29 of his appearances to log 2,433 total minutes. Ryan made the Team of the Week three times, and like Albadawi, this NASL Best XI honor is the second of his career. MID: Dylan Mares (Miami FC) – The NASL veteran swapped Indy Eleven for Miami FC prior to the 2017 season and made a major impact on his new club’s attack. He played in 29 games (27 starts) and scored eight times. He also added five assists in his 2,206 minutes of play. Mares was included in the Team of the Week eight times. FWD: Vincenzo Rennella (Miami FC) – He scored 11 times and added five assists in 1,538 minutes this year. Rennella started in 17 of his 23 appearances, earning Player of the Month honors in June, Player of the Week honors on one occasion, and Team of the Week honors five times. FWD: Stéfano Pinho (Miami FC) – The forward showcased his dangerous attacking abilities, scoring 17 goals to earn the league’s Golden Boot award. He started in 26 of his 27 appearances and added four assists to his goal tally in 2,186 minutes of action. Pinho was a two-time Player of the Week in 2017, and an eight-time Team of the Week honoree. 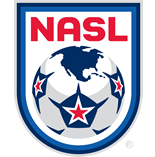 This recognition marks Pinho’s second career appearance on the NASL Best XI.